Glyphosate is a broad-spectrum systemic herbicide that kills weeds and is especially effective against perennials. It is currently the most heavily broadcasted herbicide in the US, with 5 to 8 million pounds being used every year on lawns and yards and 85 to 90 million pounds used for agricultural purposes. 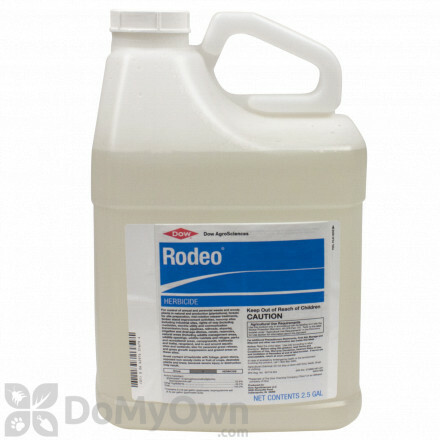 Because Glyphosate is a broad-spectrum, non-selective systemic herbicide, it will kill virtually all types of plants but is formulated for grasses, sedges, broad-leaf weeds, and woody plants. You will find this chemical in products such as Roundup. A professional non-selective post-emergent herbicide having 41% Glyphosate with a surfactant for increased effectiveness and an Agricultural label. A non-selective post-emergent herbicide to eliminate broad-leaf and grassy weeds. A professional non-selective post-emergent 41% Glyphosate herbicide with a surfactant for increased effectiveness. A professional non-selective post-emergent herbicide for annual and perennial broad-leaf weeds and grasses for turf, nurseries, non-crop areas, and landscape ornamentals. A professional non-selective post-emergent 41% Glyphosate herbicide with the addition of 15% surfactant for greater effectiveness. A professional herbicide for emerged aquatic weeds & brush in ponds and weed control for tree plantations. A professional non-selective pre-emergent and post-emergent herbicide that kills grasses and broad-leaf weeds far longer then the competition. 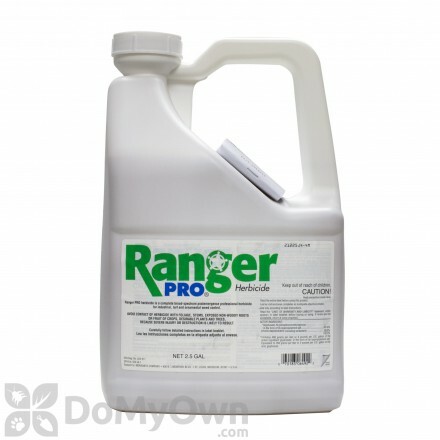 A non-selective post-emergent herbicide that will kill the toughest weeds and grasses around the home and garden. A non-selective post-emergent herbicide for home and garden that kills all plant life, roots and all. A non-selective post-emergent herbicide that kills broad-leaf weeds and Johnson grass in a Ready-to-Use foam application that is waterproof in ten minutes. A non-selective pre & post-emergent herbicide for controlling grass, broad-leaf weeds, brush and vines up to one year. A non-selective post-emergent herbicide in a RTU bottle for the home that immediately gets rid of weeds. 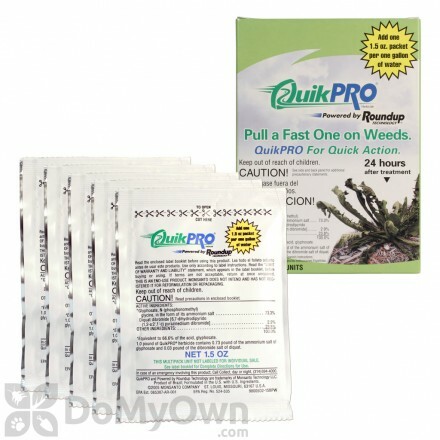 A non-selective pre & post-emergent herbicide that kills and prevents growth of weeds for up to 1 year. 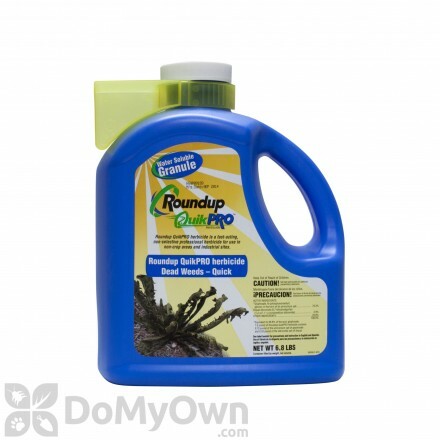 Roundup Concentrate Extended Control Weed & Grass Killer Plus Weed Preventer is a non-selective herbicide concentrate that kills all existing weeds and grasses at their roots. 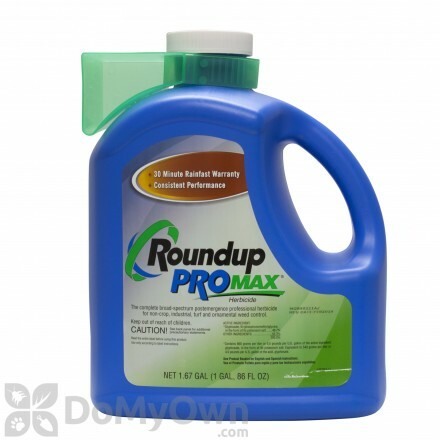 Glyphosate inhibits certain amino acids necessary for protein formation in plants. It is formed as an isopropylamine salt. Its popularity stems from the low toxicity and that the product breaks down quickly and does not persist in the soil. However, glyphosate can build up in plant tissues, leading to harm and death of plants, which is a problem for non-target trees and shrubs. In annual plants, you will see results in two to four days, and with perennials you will see results in seven to 10 days. Since glyphosate herbicides are non-selective, you will have to take care when applying products with glyphosate. 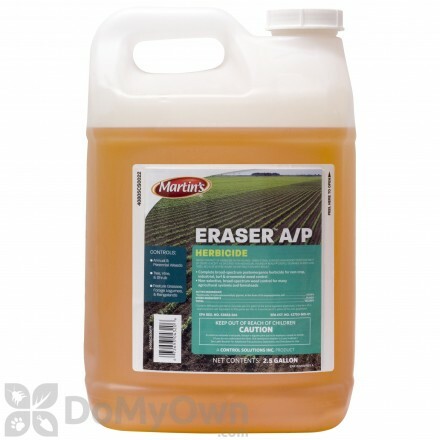 It does not persist in the soil, so it must be applied to actively growing plants. Apply when temperatures exceed 60 degrees and plants are actively growing. Early mornings and late evenings are ideal. Wait for a calm day; if glyphosate spray drifts onto desired plants, they can be damaged or killed. Take care to avoid drift by waiting for calm days or putting up shields. If spray does get on desired plants, wash off with water immediately. Glyphosate can be sprayed over plants or crops and absorbed through the leaves, injected into the trunks or stumps of trees, or broadcast. The chemical’s mode of action is to inhibit the enzymes involved in amino acid synthesis, resulting in death of the affected plants. Spray target plants until the leaves are wet but not dripping. Do not walk on the wet areas as you may track the glyphosate around and damage grasses and other non-target plants. Although this product has low toxicity, always read labels, instructions, and warnings for use, safety, and storage. The Environmental Protection Agency‎ had declared glyphosate to be relatively low in toxicity, and without carcinogenic or teratogenic effects. They have even gone so far as to say that an individual eating only food from glyphosate treated fields for a lifetime would suffer no adverse effects. However, there can easily be found arguments from many who disagree. To ensure safety, please always read and follow the product label directions.